Celebrating 25 Years! Family Owned & Operated! Have you dreamed of seeing the country? Do you currently work in truck driving but wish you could own your own truck? Hurricane Express can offer this to you with our lease to own truck driving jobs. Our family-owned company leases Peterbilt trucks to our drivers. Every three years, you can trade your truck in for a new model, or you can lease to own your truck. The driver incentives offered by Hurricane Express Inc. are a great way to boost your income. You'll be rewarded for tenure, referrals, safe driving, and passing inspections. A truck driving career with Hurricane Express Inc. isn't just about collecting a paycheck. We offer drivers the opportunity to actually own their own truck. Learn more about the benefits of a truck driving career with our company from those who know. Many of our drivers have been with us for years. 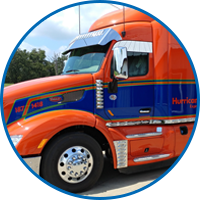 Find out how Hurricane Express Inc. offers the best truck driving jobs when you reach out to our team today at (877) 379-7383. Discover the freedom of owning your own truck. Start driving with Hurricane Express Inc.
and you could own your own truck. 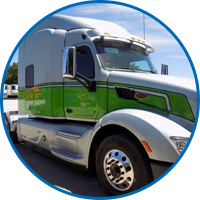 We offer lease purchase programs for safe, experienced and hard working OTR Drivers with Hurricane Express Inc. in West Siloam Springs, Oklahoma. Our family-owned company has been in business since 1988 and operated under our authority since 1992. We currently have 160 trucks and are anticipating growing even more! We specialize in lease-purchase trucking and in refrigerated freight going coast-to-coast, like produce, poultry, and seafood. Unlike most companies, we have not forgotten our roots. We still know our drivers by name – not by the number on their truck. We have a 15,000-square-foot shop with some of the best mechanics on hand to handle all of your truck and trailer maintenance needs. Our accommodating office building was designed with our drivers in mind. It has a large lounge, Wi-Fi, a 50” flat screen with cable, nice shower, two washers, and two dryers that can be used for free by our drivers. If you are interested in more information about the lease purchase program, please call or email recruiting.